(NationalSecurity.news) The missile defense system that is supposed to be capable of protecting U.S. cities from nuclear attack by smaller atomic-armed nations like Iran and North Korea is “simply unable to protect the U.S. public” and will remain incapable of doing so until Congress exerts rigorous oversight, a new report claims. The report, released last week by the Union of Concerned Scientists, recommended that the Obama administration stop expanding the Ground-based Midcourse Defense system, known as GMD, until technical problems plaguing it are ironed out. “The story of this system is a cautionary tale about how the lack of appropriate oversight of a politically charged missile defense program has led to a system in tatters,” said the report, written by three physicists with expertise in missile defense. “Despite more than a decade of development and a bill of $40 billion, the GMD system is simply unable to protect the U.S. public,” the authors said. The system was designed to thwart a “limited” nuclear strike by a smaller adversary that is not a nuclear superpower. In an attack, rocket interceptors deployed at Vandenberg Air Force Base in Santa Barbara, California, and Fort Greely, Alaska, would be launched from underground silos. After reaching space the interceptors would separate from booster rockets and converge on incoming enemy warheads. 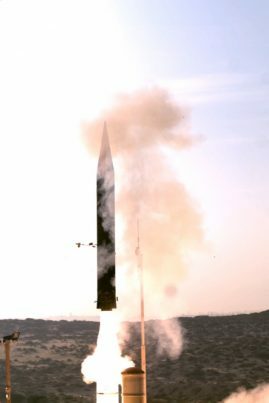 The UCS report noted that in the past, “heavily scripted” flight tests were “set up for success,” but often GMD interceptors failed to hit mock enemy warheads. In fact, the report noted, in the seven most recent tests the GMD interceptors only struck enemy warheads three times. That finding is consistent with those of the Pentagon’s operational test and evaluation office, Tribune Papers reported. During testing personnel are aware of the speed, location and trajectory of target warheads ahead of time, as well as when they will be sent aloft. All of that is not information that would normally be available, at least initially, in a real attack. The scientific experts who penned the report relied in large part on published information over the past two years by the Los Angeles Times, in addition to a National Academy of Sciences report as well as findings of federal auditors and the Pentagon’s testing office. The report noted that Congress and Department of Defense officials were adamant about deploying and then expanding the system rapidly, at a cost of sound procurement and engineering. Officials with the U.S. Missile Defense Agency, the Pentagon department that is responsible for deploying GMD, said that a system was deployed according to law. “This rapid deployment was a driving factor in delivering a ground-based interceptor capability with reliability challenges,” he added, noting research and development is ongoing and that the agency is staying “on track” to deploy more interceptors. The report, “Shielded from Oversight: The Disastrous U.S. Approach to Strategic Missile Defense,” is 60 pages in length and traces the decision to deploy GMD to the Bush administration, which called for it to become operational by 2004. Authors said the deployment was premature because interceptors had not undergone adequate testing. NationalSecurity.news is part of USA Features Media.